Income Tax Return of Deceased person | How to file ITR? You are here: Home / Tax Planning / Income Tax Return of Deceased person | How to file ITR for the deceased as a Legal Heir? Income Tax Return of Deceased person | How to file ITR for the deceased as a Legal Heir? In this world nothing can be said to be certain, except death and taxes. Even after death of a person, taxes (if any) are certain. The income earned by a person who has expired can still be subject to taxes. So, who is liable to file income tax return of a deceased Assessee? 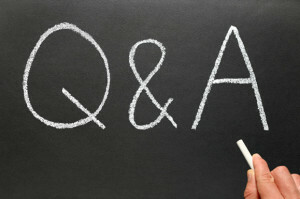 Who is liable to clear tax dues? How to file ITR of an expired person? Let’s discuss…. Financial year (FY) is the year in which an individual would have earned the income. If you are filing a return this year, the financial year will be 2016-17. For example, if you have had an income between 1st April 2016 and 31 March 2017, then 2016-17 will be referred to as FY. Assessment Year (AY) is the year in which you file returns i.e., 2017-18. What if an individual who is a tax assesee unfortunately expires during a financial year? Is he/she still liable to pay taxes after the death? Besides other legal formalities like transfer of assets, distribution of property, execution of WILL (if any) etc., filing of ITR of a deceased person is also a very important formality and can be a cumbersome task. Who has to file Income Tax Return of Deceased person? Income tax return of a deceased person can be filed by his / her nominee or legal heir (legal representative). To file the ITR on behalf of the deceased, the concerned individual has to get himself / herself registered as a legal heir on e-Filing portal of IT department. For example : If a tax assessee (Mr X ) has died on 1st November, 2016 then the legal heir has to file ITR on behalf of the deceased for the income earned from 1st April, 2016 to 1st Nov, 2017. Though legal heir has to file ITR on behalf of the deceased, there is no liability to pay the taxes of the deceased by the Legal Heir from his own pocket. Thus, the liability is limited to the extent of value of estate inherited by the legal heir from the deceased. For example : If son (Mr Y) of Mr X inherits a property which is valued at say Rs 10 Lakh and if the tax liability of Mr X is say Rs 12 Lakh, then in this case Mr Y cannot be held liable to pay more than Rs.10 lakh as taxes. For example : If a tax assessee (Mr X ) has died on 1st November, 2016 then the income accrued on his name from 2nd Nov, 2016 till 31st March, 2017 has to be clubbed with the income of his son (Mr Y). Son is liable to pay taxes from his own pocket. In case, there are multiple legal heirs, taxes can be borne by all of them. You as a legal heir or representative has to calculate the income of the deceased from the start of the year till the date of death and thereby the tax payable on it in the same manner as if the deceased is alive. You may have to refer the deceased’s Bank Statements, investments, Form 26AS and other relevant documents necessary for income tax calculation. If there is any income which is earned on the inherited assets, after the date of death then it is taxable in the hands of you (legal heir). Legal heir should include this income inherited from the deceased in his own income while filing own ITR. How to register as a Legal heir on e-Filing portal? Click on ‘Add / Register as Representative’ option Under ‘My Account’ menu tab. Select request type as ‘New Request’, ‘Register Yourself on behalf of another person’ and category as ‘Legal Heir’. Click on Submit button. Legal Heir Certificate issued by local authority (or) Surviving member certificate (or) Pension order issued by State/ Central govt (or) Registered WILL. Once you submit the request, it is sent to the e-Filing administrator for approval. The status of request can be tracked under ‘My Account -> Add / Register as Representative -> View Request’. Once your request is approved, as a representative you will have ‘Full Access’ except ‘Profile Settings’ & ‘Add/Register as Representative’ functionalities, up to the date of authorization. How to file Income Tax Return for the deceased Tax Assessee? Once your request for ‘Add Legal heir’ is approved, you can login to e-Filing portal with your login credentials. 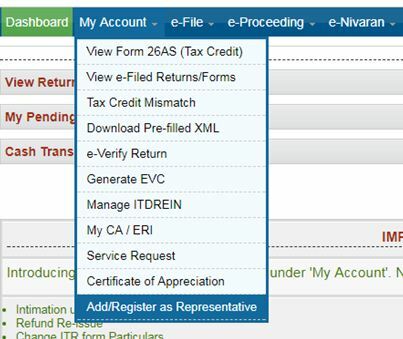 You can click on ‘Upload Return’ under ‘e-File’ tab. Select applicable Assessment Year and upload XML file. 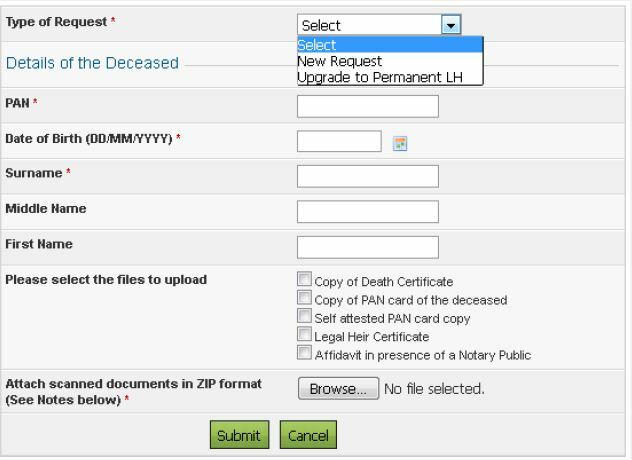 As a Legal Heir you can Digitally Sign the ITR of the deceased (or) can e-Verify the Return as per your choice. Income Tax Notice & Scrutiny : After intimation about death of a person to an ITO, the ITO concerned cannot issue notice in name of deceased, and if he does so and makes assessment then it will be void ab initio. But they can issue tax due notice to legal heir. Penalty proceedings (if any) can be initiated against the legal heir. But as discussed, the tax liability would be limited to the extent of the assets inherited by legal heir(s) from the deceased. Can multiple legal heirs file ITR of a deceased person ? If there is only one legal heir of the deceased then he/she will act as legal representative, but in case of more than one legal heir any one of them with the consent of all, can act as legal representative for the purpose of income tax. As per section 157 of Income Tax Act, 1961, legal representative will be entitled to collect proportionate tax from other legal heirs as a part of their share. If multiple legal heirs want to file ITR then as per provisions of Income Tax Act return is required to be filed in capacity of AOP (Association Of Persons) or BOI (Body of Individuals). Can Joint bank accounts be continued? – If taxpayers have joint account and one of the A/c holder dies then account can be continued as it was operated before by the survivor. Also, inform the banks and other financial institutions about the unfortunate incident and get the records updated accordingly. How many ITRs can be filed? – I believe that only one ITR on behalf of the deceased can be filed by a legal heir (but, I could not find any official source on this, you may let us know if this is incorrect). Yes, If refund has been claimed or to be claimed then it can be issued to Legal Representative. From FY 203-14 (AY 2014-15), refund will be credited directly into the account and no cheque will be issued. If an assessee has expired after filing his return for a particular A.Y. and the refund has been issued in his name, the legal heir can approach the PRO (Public Relations Officer of IT dept) along with necessary documents like attested copies of death certificate, Last Will, address and identity proof of the legal heir, NOC of other relatives in form of an affidavit etc. and submit his application for further action. How to get Legal heir certificate ? – You can obtain a Legal Heir / SuccessionCertificate through your Taluk / Thasildhar or through the District Civil Court of your area. You have to submit copy of Death certificate, Identity Card and prescribed application form. Kindly note that you can file ITR through offline mode also. You (legal heir) has to meet the AO (Assessing Office) and produce the required documents such as, self ID proof, relationship proof with the deceased assessee (legal heir / succession certificate), death certificate of the deceased assessee, as well as PAN copy of the deceased etc., After verifying, the documents the AO will provide the approval for filing the tax returns for the deceased assessee to the legal heir/representative. Filing Income tax return of deceased person can be a challenging task. 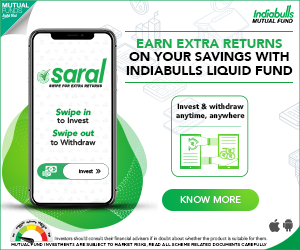 You need to have all the required information about his/her income, access to bank statements, Tax credit statements (TDS & Form 26AS), investments etc., to file ITR with correct income details. Also, a dispute might arise if there is no unanimity on the division of the Estate (Assets) among the legal heirs and this can pose a problem in doing the tax compliance on time, for and on behalf of the deceased. Hence, it is advisable to inform your loved ones, nominees or legal heirs about all the investments that you make and about your tax liability status every financial year. Hope you find this article useful. Kindly share your comments. Cheers! my father expired and who was taxpayer person hence give me details of deceased persons fbr. Thanks Mr. Sreekanth Reddy for your invaluable article & your quick responses.May God bless you with long and healthy life! 1) In the ‘Verification’ section of ITR1, what is to be entered for the Name i.e. should this be Name of legal heir or deceased? 2) Also in what Capacity ‘Self’ or ‘Legal Heir’. But, sincerely suggest you to consult a CA in person and file the ITR. Your Quick Response very much appreciated. Will consult CA as you suggest. and i had only the documents like PAn of Deceased,pan of legal heir and death certificatev is available .is it possible to file the rerturns for all the years as leagal heir, Please help me immediately……. I believe belated returns of FY 2015-16 and FY 2016-17 can only be filed now. Suggest you to consult a CA and take help.. If the deceased person had no aadhar card.What happens in such scenario?Kindly help. The legal heir ideally should have included/clubbed the taxable income in his ITR for the relevant period (Oct- Apr) and filed ITR. Did legal heir file his returns for the AY 2017-18, without clubbing this income? If so, suggest you to kindly consult a CA and take necessary action. What to do when pension arrears from 2010 of the deceased is paid to the wife of the deceased in 2016-17? Suggest you to take advice from a CA. Thanks for the excellent article. My father was passed in jan 2017 and now his pension has been transferred to my mother. We have received the form 16 for FY 2016-17 from SBI in which tax has been deducted. Do we need to file income tax return on behalf of my father and how? Yes family pension is a taxable income. Sreekanth, Excellent! I found very relevant updates and the headings to the Articles posted here are so well crafted that they connect with an average assesses like me very well. On filing of returns of a deceased, I need to complement you from bring this out here. Strangely, for the past 8 months, I was looking for inputs to file return of my father. Even the CAs I knew could not help me. Ultimately, we went to the Jurisdiction Officer to find out how we could file the return and verify at the end, because the part of segregation of income from 01 Apr to the date of death was commonsense and logically must fall in hands of the person inheriting, but the signing of form as “self” for someone deceased, was incorrect. The IT form, or the IT portal, strangely does not give this information, or at least it was not easily accessible till date. When we were guided by the Jurisdiction Officer, the inputs were not very clear. However, I logged into my father’s account and decided to get to the “add Representative” menu and found out something strange. It did not make much sense. Thats when I decided to search the website again and found your article. It is now clear that the Legal Heir needs to log into his/ her own account and on his/her account add as Representative to the deceased person. As this was a case of Pension moving to Family Pension, it saved some sweat and blues for me as I am able to place the Pension Order. But I found here that this could be a source of harassment to some who may not have a Will/ Court Order etc. In any case, all other certificates would mean the same running around which the citizens of this country were made to since Independence. I only hope such inputs were simplified and better still brought about more visibly on the IT Portal. The IT Portal has come a long way and needless to say that much of it is common sense, but it sure has become robust. Just one suggestion in this regard, that is the subject matter of filing returns of deceased person after death of an assesse. If on the website, the words/word “filing returns on behalf of DECEASED person” could be one of the drop down menus as would be the case of differently abled or aged persons, it will make matters simple. Will that be possible for you to take it up with the IT Dept? There is some change in the IT filing web site. The drop down menu for legal heir alone is no longer there. Instead a new functionality under Add Register as Representative has been introduced as per circular of 25/05/2017 available under News and Updates of IT web site. Thank you dear SIDDHARTHA for sharing this information..will update the screenshots in the article..
Siddhartha, you took the words out of my mouth. My wife visited the Jurisdiction Officer last week. She was told about the “legal Heir” which I did recall having read way back in 2015, but could not find it. The other menus under Rep or New… were not allowing the stated directions given by the IT Officer. In short, even the IT officer perhaps is not fully aware of the info you have added here. I am sure Sreekanth will refine this page with kinds of observations now adding up. Not all of us are either CAs or Income Tax professionals. People like you have made life more organised and simple. Dear Sam.. Yes, I am very lucky to have blog readers like Siddhartha and you, who keep me informed about the latest updates on related topics, so that the blog posts are kept up-to-date with the latest available information, useful for all of us. Thanks for write up on the issue. representative only we get legal heir . Dear UMESH ..Yes, the IT dept do change the options / re-arrange the options under different Menu Tabs. Please refer to circular of 25/05/2017 of IT Dept. on the It filing web site. Few years back I have subscribed to your blog and since then I read all your articles regularly and of most of the articles I take a print0uts and keep it a file. While copying and pasting the article the page looks very clumsy since no proper space is provided between the lines. Please provide proper spaces and give space for the images also. Trust in your future articles you will take necessary care? Thank you for being a loyal reader of ReLakhs. If you are taking printouts then you may use ‘print friendly feature’, which is available in the left-had side sharing buttons options. Click on ‘+’ symbol, select Print / Print friendly options and you can take print outs of the articles with property spaces and alignment. I was also searching for a print option. Like Bhuwalka, I too copied and re-formated and hoped that a button like the one “tax guru” provides, could be on the page. But I read that you have just got started with the blog three years ago and all alone, it may hurt your pocket to add features or even maintain the website. Much grateful to you Sreekant. Thank you, Mr. Reddy this is nice content. Really for the first time in whole life I haven’t read such type of content on Income Tax Return. Nice Article. This Article is very helpful to me, as one of my client just meet a death in Jan’2017. I have no knowledge of filing return of diseased assesses.